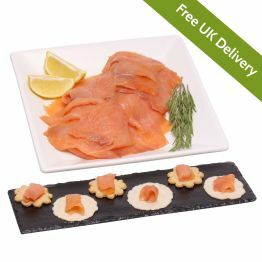 500g Sliced Smoked Scottish SalmonSS13Send them a decidant gift with our '500g Sliced Smoked Scottish Salmon.' 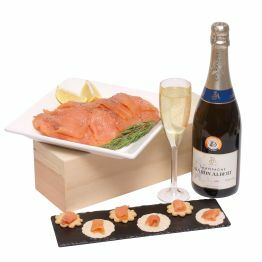 This traditional smoked Scottish salmon from the Coln Vallery smokery, is an unusual gift that is sure to delight the lucky recipient. 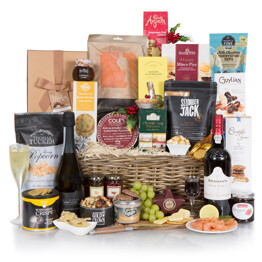 Send them a decidant gift with our '500g Sliced Smoked Scottish Salmon.' 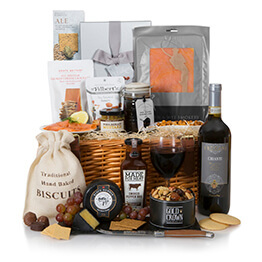 This traditional smoked Scottish salmon from the Coln Vallery smokery, is an unusual gift that is sure to delight the lucky recipient. 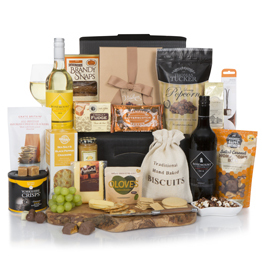 This hamper will earn you 74 Hamper Points. The smoked salmon is delicious, and always arrives on time. It is good value for money. 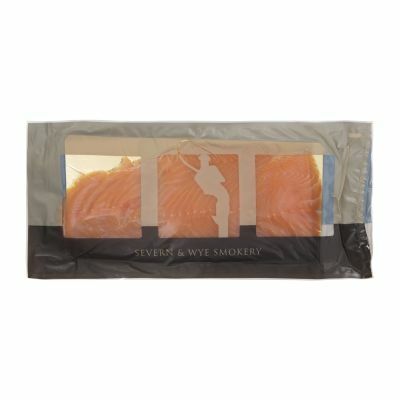 This smoked salmon is very tasty and well sliced, and is not too expensive. 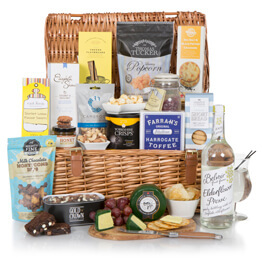 Our family and friends in England always look forward to receiving it in time for the holidays.